Here’s a quick overview of the private property sales process in Ireland, and how YourBricks.ie can help you with the private selling of your property. Private property sales are property sales that essentially remove intermediaries. 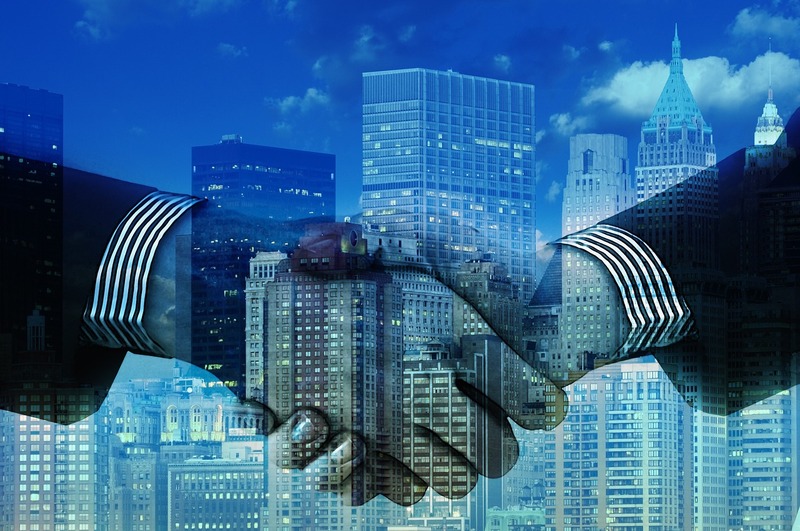 These intermediaries are otherwise known as traditional estate agents. Property owners take on the responsibility of selling their own homes privately by managing their own marketing, conducting their own house viewings with potential buyers and negotiating the sale price. Private property sales have grown in popularity in Ireland over the past few years. Selling your home privately can be a difficult and slow process without the professional marketing support and advice of an estate agent. Private sellers will also require legal conveyancing assistance as part of the process. Why do people sell their homes privately? Generally speaking people sell their properties privately to save money, but a private sale can take a long time if you don’t, for example, use an experienced photographer to take high quality photos of your home or if you don’t have a floorplan to show the dimensions of your property. In terms of advertising you may be able to place an ad on Daft.ie but only registered estate agents can place ads with MyHome.ie, which means that you are missing out on a whole chunk of the market! YourBricks.ie is a great choice for anyone looking to save money on their house sale but who perhaps doesn’t want to go it alone. 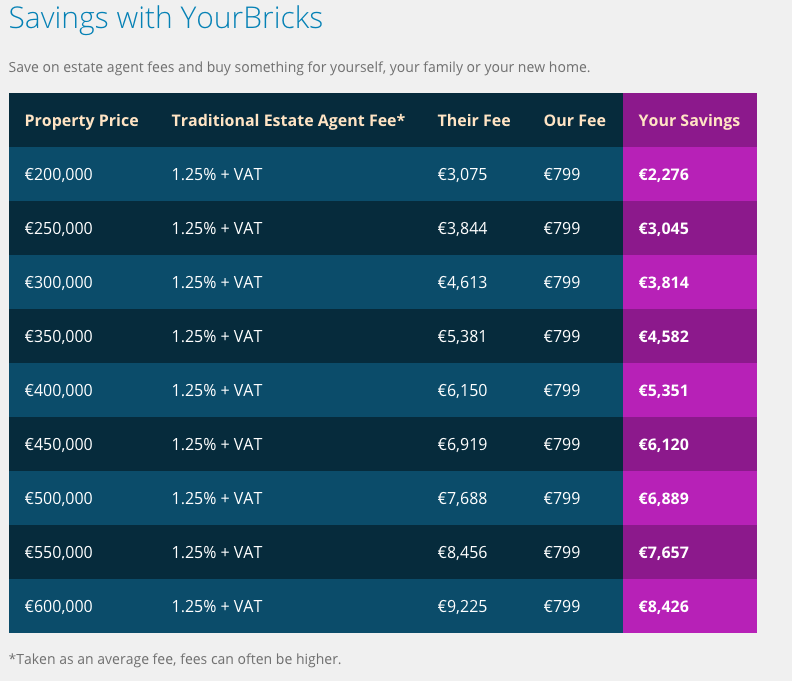 The YourBricks.ie package is perfect for anyone looking to sell their home privately and will save sellers over €4,000 on average versus traditional agents. What are the benefits for a private house seller of using YouBricks.ie? You don’t pay expensive estate agent fees and so you can save thousands in sellng costs. Traditional agents charge a percentage of the final sale price of your house, so the more valuable your property is, the more money you pay. Convenient viewing times. With YourBricks.ie you schedule the viewing times to suit your calendar. Receive genuine feedback. By conducting your own property viewings you will have direct contact with potential buyers and can get honest feedback and find out the genuine reasons why viewers may not be biting. Suffer less frustration! It can be a very frustrating experience dealing with traditional agents and the lack of value in terms of price versus deliverables leads to even greater frustration for sellers. How do I sell my house with YourBricks.ie? At YourBricks.ie we are asked every day about how to sell houses privately and remove the middleman as much as possible. With YourBricks.ie this is possible as you can choose exactly how much involvement you want to have in the process. Selling your property online with us will allow you to reach thousands of potential homebuyers who are looking for a property just like yours. So if you’re thinking of selling privately, the best way to benefit from a private house sale, yet still receive the benefits of an estate agent is to sell with YourBricks.ie. We will take great photos, prepare floorplans, provide a ‘For Sale’ sign and also a BER if required. We will then list your property for sale on our website, and on Daft.ie and MyHome.ie. We will also provide you with a unique platform from which to manage your property sale from start to finish.